Over the past few months, Charlie Manning has gotten complaints about Facebook advertisements, requests for assistance in recovering lost passwords and demands to speak to Mark Zuckerberg. She doesn't work for Facebook, though: Manning is a senior 911 dispatcher for the Menlo Park, Calif., police department. She regularly gets 911 calls from Facebook users around the world. Since relocating its corporate headquarters from nearby Palo Alto in 2011, Facebook's main offices are located in Menlo Park. At night, calls to the business number for Menlo Park Police go to the 911 dispatch office — so anyone who looks up Facebook, finds out it's in Menlo Park and wants to call the police there will reach the dispatch center. Dispatchers say they haven't noticed an uptick in calls since Facebook's recent data scandals. "A lot of people call and say that my account has been hacked and want you to go and find who this person is that hacked my account," Manning said. This typical call gets the same general response from dispatchers: There's nothing the local police can do about the private company. Manning and her team of dispatchers usually recommend that callers file a case with Facebook's help center. She says she understands why people who call his dispatch center often feel desperate. "They're up late at night at 11 o'clock and they're looking at Facebook," Manning says. And when Facebook users feel something criminally wrong has happened to them, "Who are they going to call? They're going to call us. They feel it's an emergency because it's personally affecting their lives and they want action right then and there." Some of the calls strike Manning as serious. "You get teenagers [whose accounts have been hacked] where the world is crashing in on them," she says. "I do feel sorry for them; I do. And it calms them down, as long as somebody's heard what's happening." A registered nurse called from North Carolina to report advertisements for illegal giveaways of prescription drugs. One man drove to the gates of Facebook, and when he wasn't let in, called the police. "I need to see Mr. Z. personally," the man told them. The dispatcher recommended he file his complaint online. "I think a lot of people calling have this grandiose view," said Karen Salas, a fellow dispatcher. "Facebook's here, and Facebook's big ... so we [the police department] must be giant, too." Other calls are a bit more lighthearted. A man in Germany who called didn't have a complaint: "He was just mesmerized and wanted to make sure this was Menlo Park where Facebook was located," Manning said. The dispatch center also regularly receives Facebook-related calls that are relevant to the city. Tech commuters nearly double the daily population of Menlo Park, and the city is trying to keep up with the growth as Facebook continues to build more offices on what was once empty marshland. "As [the company] has grown, we've gotten more and more 911 calls," Manning says. "Disputes, accidents, arguments, medicals." She's noticed a number of calls about bicycle accidents between buildings on the Facebook campus, and road rage incidents during commuter hours. Facebook has offered to pay for a community police substation and increasing the size of the police force. In 2017, the company offered the city of Menlo Park $11.2 million over five years to support its proposals. Last October, the Menlo Park city council voted unanimously to expand its police force "assuming that it will reach an agreement with Facebook that the company will cover the costs of the department's expansion," according to local press. The town plans to hire five additional police officers and one sergeant over the next year or so. Dispatchers will continue to direct callers they can't help to the same place they always have — Facebook's help center. Menlo Park, Calif., was a sleepy bedroom community until Facebook came to town. One unexpected thing Facebook has brought to Menlo Park is complaints from all over the world about Facebook. 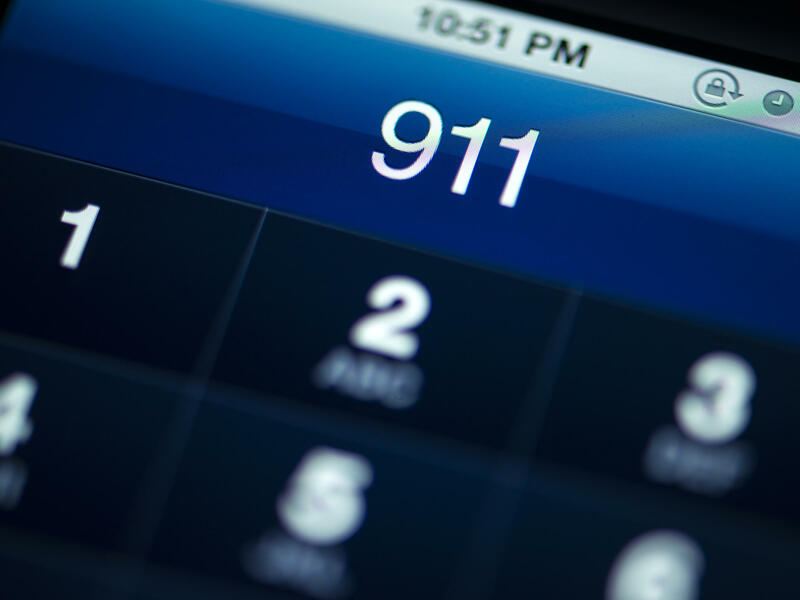 As Jake Warga reports, those complaints have become a distraction for the town's 911 service. JAKE WARGA, BYLINE: Menlo Park Police get a lot of calls they can't do anything about. MANNING: A lot of people call and say that my account has been hacked. I want you to go and find who this person is that hacks my account. UNIDENTIFIED PERSON #1: Menlo Park Police. UNIDENTIFIED PERSON #2: Yes, I'm trying to get in contact with Facebook. UNIDENTIFIED PERSON #2: Is there support there? UNIDENTIFIED PERSON #1: No, there's no support. You're going to have to make a report online. WARGA: The police department has a direct business line that anyone can call, no matter where they are or how late it is. And at night, anyone who calls the number gets routed to dispatch. MANNING: They're up late at night at 11 o'clock, and they're looking at Facebook. And they realize they've been hacked. Who are they going to call? They're going to call us. So it's almost like we're famous for having Facebook in our city. WARGA: Facebook, the actual company and its flurry of new building construction, is physically located in Menlo Park. So say you think someone is breaking the law on Facebook, and you want to call the cops on them, like the nurse. MANNING: She was an RN calling from, like, North Carolina. She didn't like that there were advertisements that were on Facebook - a product that you have to get by prescription only. And they were giving out free samples. And it was to grow your eyelashes. UNIDENTIFIED PERSON #3: (Unintelligible), please. MANNING: They feel it's an emergency because it's personally affecting their lives. They want action right then and there. UNIDENTIFIED PERSON #4: 911 Emergency. 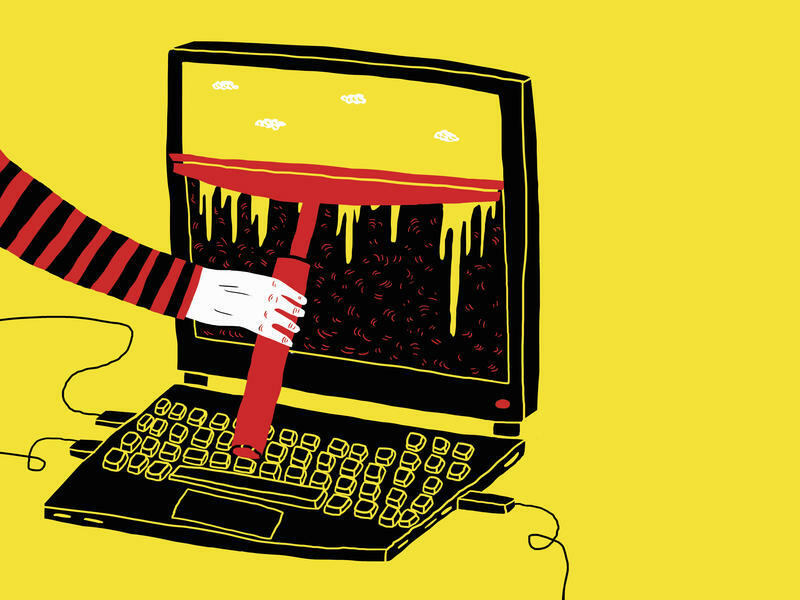 UNIDENTIFIED PERSON #5: My business online and everything was hacked. MANNING: It can be very devastating for that person. You know, you get teenagers that - the world is crashing in on them. And, yeah, I do feel sorry for them. I do. It calms them down as long as somebody has heard what's happening. UNIDENTIFIED PERSON #5: I'm looking for the legal department because I need to see Mr. Z personally. UNIDENTIFIED PERSON #5: And I need to have somebody to call him. MANNING: Some of them have accents, and they're really hard to understand because they call from all over, all over the world. WARGA: This is Karen Salas, the other dispatcher on duty. KAREN SALAS: I think a lot of people calling have this grandiose view of California to begin with. Facebook's here, and Facebook's big. So therefore, Facebook's giant. Then we must be big and giant, too. WARGA: A 911 call comes in while we're talking. Someone has parked illegally in a disabled space. They try to make it clear to callers there's nothing they can do about your account. They can only direct you to instructions online to report your issues directly to Facebook. Facebook has responded to how it's changing Menlo Park. The company is paid for a community police substation and is helping the city pay for more police officers. WARGA: Another 911 call comes in for the same parked car in a disabled space. WARGA: For NPR News, I'm Jake Warga in Menlo Park. (SOUNDBITE OF BADBADNOTGOOD AND GHOSTFACE KILLAH SONG, "SOUR SOUL") Transcript provided by NPR, Copyright NPR. 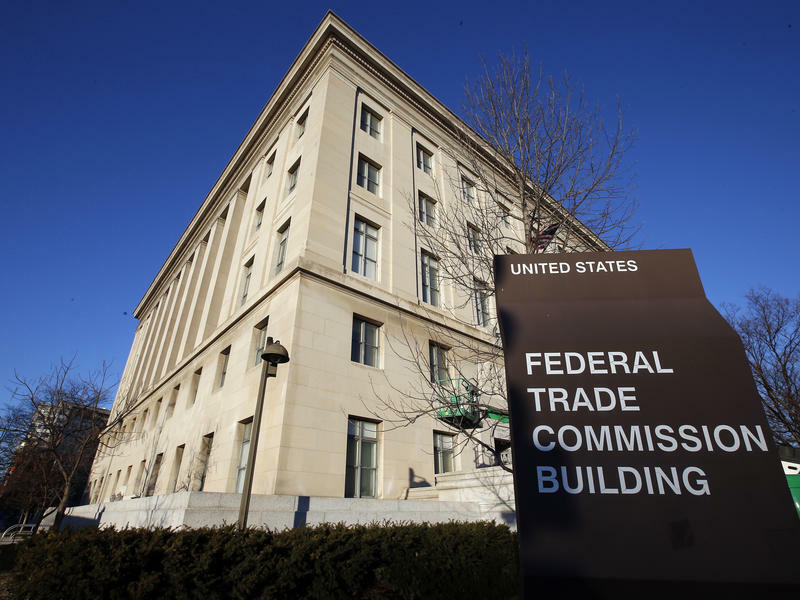 The Federal Trade Commission confirmed Monday that it is investigating the possible misuse of the personal information of as many as 50 million Facebook users. The probe comes after the social network admitted it suspended a firm that worked on behalf of the Trump campaign to use personal information gathered on Facebook to target potential Trump supporters. 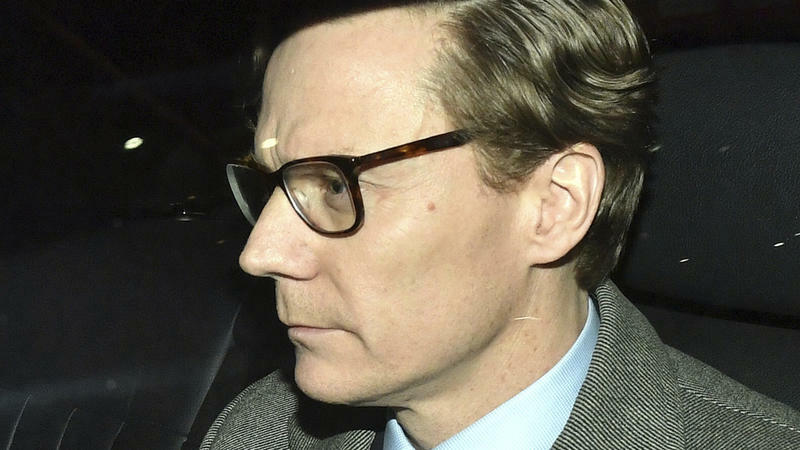 Top executives at Cambridge Analytica, the U.K.-based firm embroiled in a controversy over the mining of Facebook user data, have been secretly recorded describing the stealthy methods they used to help get Donald Trump elected.